Ukraine's parliament has voted to impose martial law for 30 days in regions of the country under threat from "Russian aggression," giving its government broad military power over its citizens in those areas in response to an escalation of tensions with Russia near Crimea. The big picture: Ukrainian President Petro Poroshenko had originally proposed martial law for 60 days across the whole of the country, causing skepticism from his political opponents as he faces plunging approval ratings, per the AP. 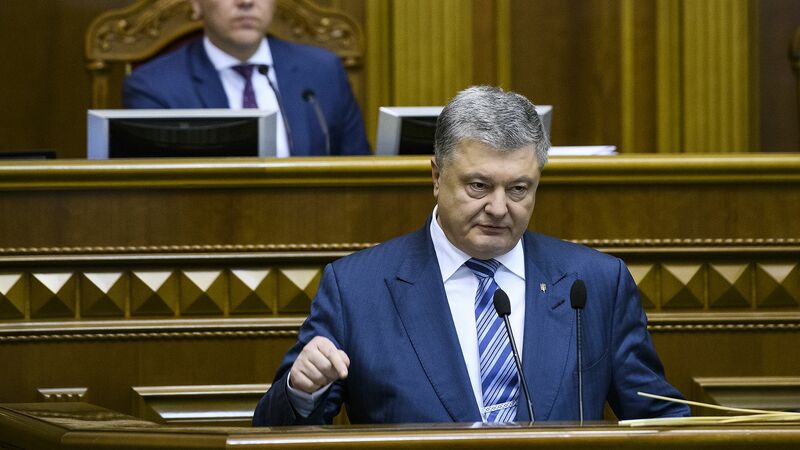 Poroshenko's proposal also could have meant the delay of the nation's presidential election in March, but the parliament's decision ensures that the election will take place as scheduled.